Is it ever acceptable to quit a new job, especially on the first day? Before you walk out the door, you should take the time to distinguish between challenges that can be overcome and basic workplace issues that are true deal breakers. A recent survey by CareerBuilder of 3,697 U.S. employees, shows more than half of them quit within six months if they decide it is a bad fit. CareerBuilders found that two thirds of new hires initially feel that they have taken a job that does not work for them. Most of these workers have two or three jobs by age 30, and leave out jobs that only lasted a few weeks from their resumes. Starting a new job is stressful, and if you are not careful can lead you to make decisions that are unwise or risky. Quitting abruptly may lead to bad references from former bosses and other colleagues, and may mean living without a paycheck. Before resigning, a new hire should consider giving the job a fair chance. How a new employee behaves can impact the willingness of managers and coworkers to offer assistance. Those who take the initiative to ask questions and appear committed to the work assigned will receive more help from their managers, according to a 2017 study of 273 new hires and 203 managers done by California Polytechnic State University. When a new hire quits it damages morale and is costly to employers, who have spent time recruiting new employees. Don’t quit just because you don’t care for the person sitting next to you or you have to do grunt work all day. If you have a grouchy boss, push back a bit. Try to see why they are stressed, and determine if there is a way to help ease their workload, or solve a problem. Quitting a new job may be necessary if an employer tries a bait-and-switch–promising one job but assigning you a different one once you start work. 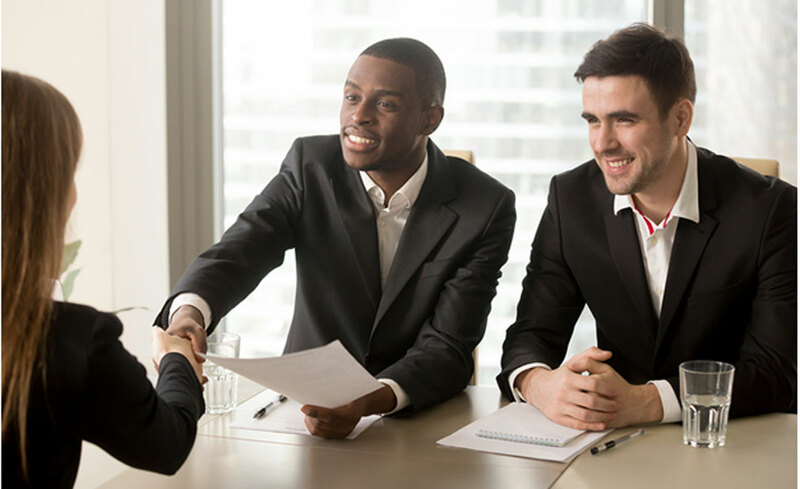 Violating those agreed upon terms for employment, such as reporting to someone other than whom you were told you were to report to, may be a deal breaker. Sometimes new hires exit as soon as a better job becomes available. This is not an ideal way to establish a career, but may be too good an opportunity to pass up. Whatever the reason, it is important to leave on a positive note if possible, since both first and last impressions are what people remember. Carolina Recruitment believes in being more than just a staffing agency. Our team of experienced job recruiters knows what it takes to find you a great career opportunity based on your unique skills. Contact us today at carolinarecruitment.com to see how we can help you build a better future and career.